Learn the cheats of Donut County and discover the codes on this page. Hello and welcome to Apocanow, we present you the article about the cheats and codes of Donut County We hope it will be useful and allow you to improve your videogame experience. Discover Cheats, Cheat Codes and Tricks for Donut County (PC / PS4 / IPHONE): Game Achievements Guide. All information on the cheats contained in this article is valid for Donut County from 28/07/2018, for consoles PC / PS4 / IPHONE .The list is updated every time the game is published for a new one console. 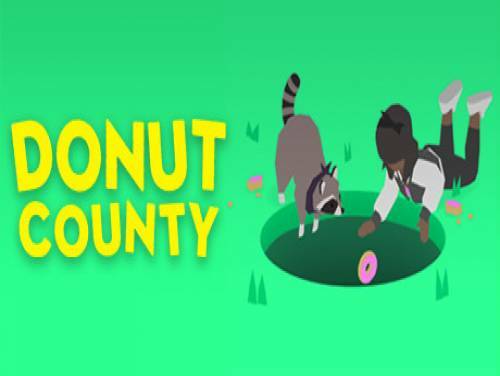 In the following solution page of Donut County you will be able to see the collection of videos taken by YouTube that we have chosen to show you the step by step completion of this game.Thanks to them you will be able to overcome the blocks and also to understand how a professional plays to learn. Donut County is a game full of puzzles, destructive, and focused on the history, in which you control a hole in the ground that never ceases to expand. Meet sweet characters, steal their garbage and scaraventali into a chasm. Finish Gecko Park without collecting the radio. Complete the boss fight without taking damage. Make Chef's secret soup recipe. Fly through the donut hole. Find Trash King's secret getaway vehicle. Break into the vault at Raccoon HQ.